Introducing our new Jacksonville Women’s Business Center Scholarship Program. 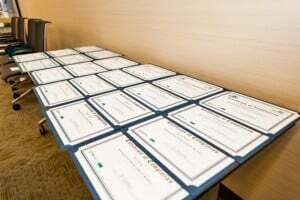 Each quarter one scholarship of up to $500 will be awarded to one individual to register and participate in one of JWBC’s entrepreneurial education programs. These programs include Venture Leadership, Customer Development, Financial Matters and Marketing Matters. The scholarship recipient must register for a program within 45 days and take the program in the stipulated award quarter. Applications may roll over to qualify in future quarters. If you have any questions, email Ellen Sullivan at ellen.sullivan@myjaxchamber.com. Ready to apply? Click here to complete an application. Send your completed application to Ellen.